Whether it is the energetic tones or soothing neutral bedding options that you are looking for, Comfort Spaces has a product that has the best of both the worlds. This floral printed comforter set in purple, grey and white adds a fun element to your whole bedroom ensemble. 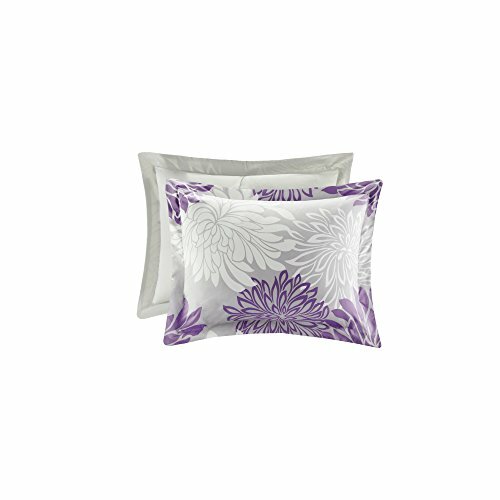 The pleasant combination of grey and white with a splash of purple is sure to heighten your excitement. The Enya bedding features printed floral details. 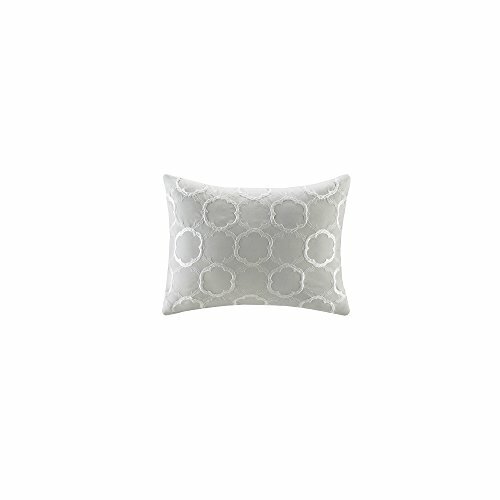 The 2 matching shams (pillow insert not included) and 1 decorative pillow add to the fun look. This Comfort Spaces comforter set also includes a matching bed skirt. 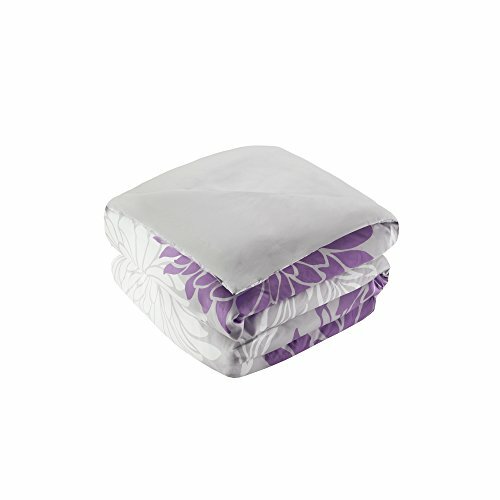 The comforter measures 90(W)X90(L) inches to fit a full size or a queen size bed. The 2 shams measure 20(W)X26(L) inches each. 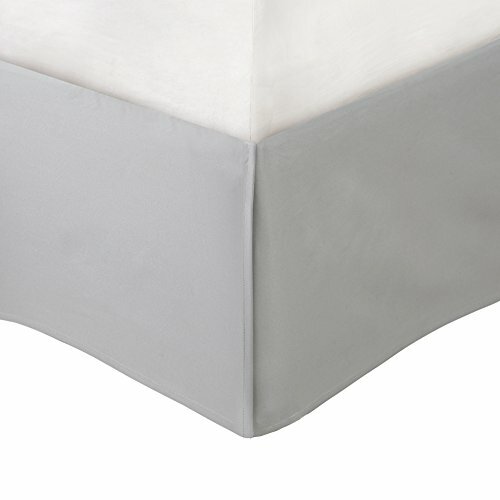 The decorative pillow measures 12(W)x16(L) inches and the bed skirt measures 60(W)x80(L) inches with a 15 inch drop. Choose the Enya bedding set for your bedroom which is also available in other color variants.